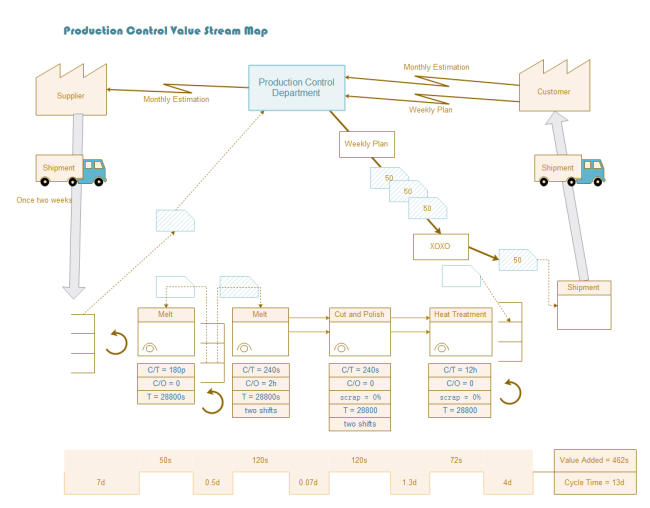 Description: A free and editable production control value stream map template is provided for free. You can download and customize it for your own use. When you open this template with EDDX format, you will see a large group of vector value stream icons and shapes, which are available to drag and drop. Download it and view awesome value stream map examples.